José José Giménez was born in Barquisimeto, Venezuela in 1981. He started his musical studies as horn player in the Regional Conservatorium of Music Vicente Emilio Sojo of Barquisimeto (Conservatorio Regional de Música de Barquisimeto). He went on to further studies at the University Institute of Musical Studies. He was also a student of the French-Venezuelan Itinerant Conservatory, which was given by the Horn Professor André Cazalet (Caracas 1998-1999). In 2001, he continued studying at the National Conservatory of Region of Perpignan-Tet Mediterranee (France) in the horn class of Jean-Pierre Cénédèse, where he was granted the Gold Medal with honor Très bien á l’unanimité in Horn and Chamber Music. Moreover, he participated in the Edition of 2000-2001 of the Conservatory playing as a Winner-Prize Soloist. In 2002, he was granted the Diploma of Horn Improvement and Chamber Music by this same Conservatory. He also studied in the Conservatoire National Supérieur de Musique et de Danse de Paris in the class of André Cazalet (2002 – 2006) and as a student of the Sócrates Exchange Program during the winter semester 2004-2005 in the Hochshule of Colonia (Germany). Nowadays, he is learning also Orchestral Conducting together with the Conductor Miguel Ángel Monroy. He has done several horn workshops and seminars together with the professors Antoine Duhamel, Edwuard Brown (Chile 1996 – 1998), Bruce Heim (Sonus Brass, 1998), André Cazalet, Radovan Vlatkovich, Raúl Díaz, Jean Pierre Cénédèse, Jean Marc Dalmaso, Jean-Philippe Chavey and Francis Orval. He has participated in several courses and festivals such as Brass Week Festival, Brass and Percussion Seminar EPSIVAL as student (France 1999-2002) and as professor in 2012 and 2013. He has participated as professor in the ACADÉMIE EUROCUIVRES 2016 (Montbéliard, Francia). He has participated in Festival Spanish Brass Alzira (2005). He performed as guest soloist in the Second Festival of Music Palau del Vidre. He was an active student in the master classes given by Professor Radovan Vlatkovich in the Escuela Superior de Música Reina Sofía (Spain, July 2000). Moreover, he was a founder member of the Latin-American Academy of Horn in 2009 (Venezuela). In 1994, he was a founder member of the National Children’s Orchestra of Venezuela. He participated with this orchestra in several concerts held in the United States, Brazil, Chile, Mexico, France, Italy and Germany. Furthermore, he was the founder of Simón Bolívar Brass Quintet and the Or Notes Brass Quintet (France) with the one he was awarded first prize in the European Chamber Music Competition of FNAPEC 2004 (Paris 2004). Besides, he was touring with different orchestras in Europe, Africa, Asia, Latin-America and America. Furthermore, he was member of the Ibero-American Symphony Orchestra, as well as of the Youth Symphony Orchestra of Andean Countries (2000). He was also part of some World Youth Orchestras such as: Schleswig-Holstein Musik Festival 2003 (Germany), as well as some tours in Czech Republic, Hungary and Slovakia (2004); Luzern Festival Academy conducted by Pierre Boulez (Switzerland 2004 and 2005) and Ensemble Intercontemporain de Musique de Paris. He was also part of the Jeunesses Musicales World Orchestra JMWO (2006) that allowed him to go to a tour to Spain and China; Orchestre Perpignan Languedoc-Rousillon, Orchestre d’Harmonie du Languedoc-Rousillon, Bordeaux-Aquitaine, Capitole de Toulouse, Opéra de Paris, Orchestre de París, Limoges, Troyes, Opéra Comique de Paris, Orchestres de lauréats du Conservatoire National Supérieur de Musique de Paris, Wupertal (Germany), etc. He has also been involved in recordings and reports such as: CD. Messe Opus 130 Joseph Jongen. Choeurs du Conservatoire de Pau, Ensemble de Cuivre Epsilon, Dir. Pascal Verdier (2001); CD’s. Schleswig-Holstein Musik Festival Orchester (2003). Producción Arte France, Musique de Film “Carmen”, Jacques Feyder (1926) and Ernesto Halffter-Escriche, Orchestre de Perpignan Languedoc-Roussillon, Daniel Tosi (2002). Beethoven 3 “Eroica”,Overtures, Simón Bolívar Symphony Orchestra of Venezuela, Gustavo Dudamel (2012). Gala Magazine Report “Ejemplo de Voluntad y Esfuerzo” (1999), Newspaper El Impulso. Rachmaninov/Prokofiev Pianos Concertos, Yuja Wan, Simón Bolívar Symphony Orquestra of Venezuela, Gustavo Dudamel (2013). Report in the talent section “Un Músico sin Fronteras, que Materializa la Excelencia Musical Venezolana” in the magazine “Lo Nuestro es Cultura” Edition 36 (2014), among others. 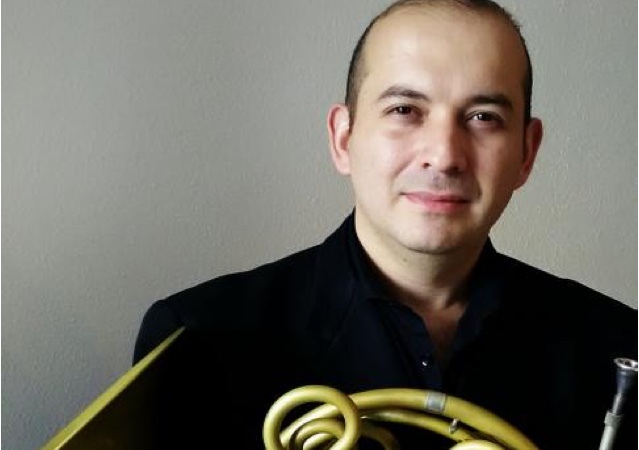 Nowadays, he is Horn player of the Simón Bolívar Symphony Orchestra of Venezuela and the Venezuela Brass Ensemble, Horn Professor of the “Conservatorio de Música Simón Bolívar of Venezuela”, guest conductor of many symphony orchestras and brass ensembles belonging to the National System of youth and children’s orchestras and choirs of Venezuela. Simultaneously, he works constantly hand in hand with the Maestro José Antonio Abreu as a pedagogue of the Symphony Orchestra of Caracas and the Teresa Carreño Symphony Orchestra of Venezuela, giving a high sense of responsibility, discipline, honor and commitment to music, with a fundamental principle, lead the life of students towards excellence in all orders of their existence. 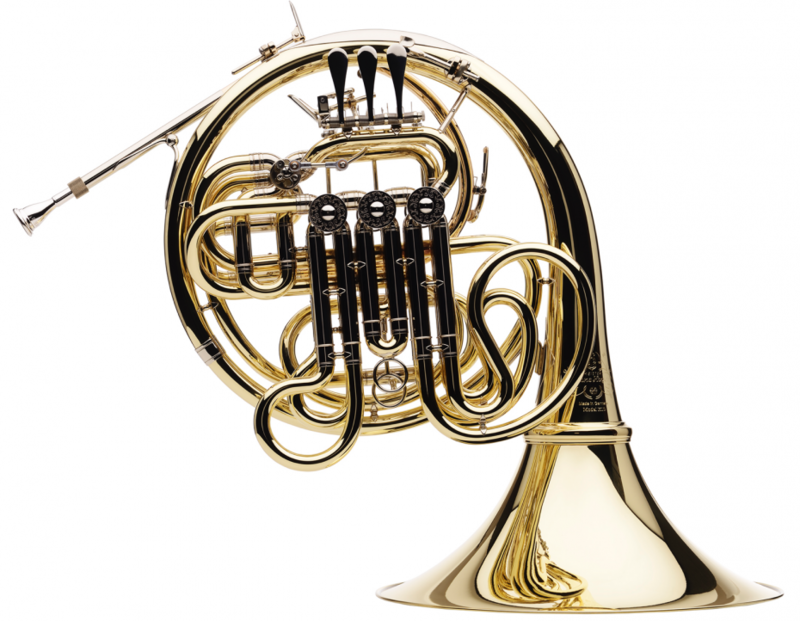 José José Giménez is a Hans Hoyer french horn player performing artist on the K10 model.